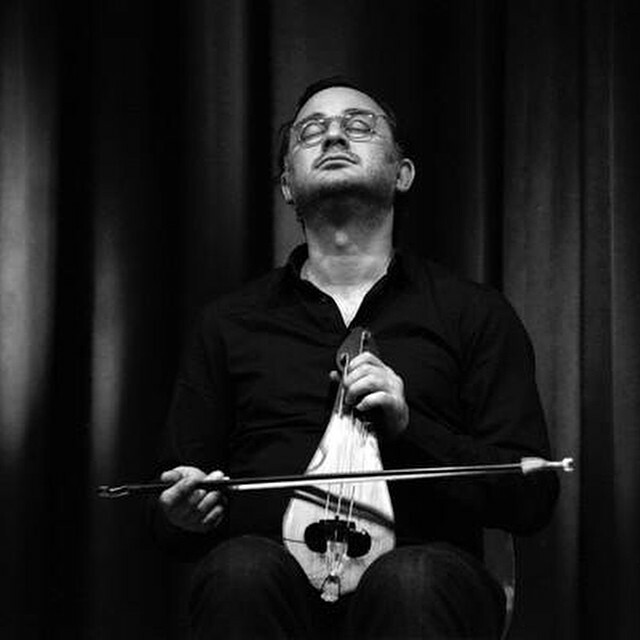 EW’s Secret Life Ensemble: For a number of years Eric has been working with some of the finest musicians from Turkye . Through working with these inspiring musicians Eric gave in to the urge to start a new group combining the very best of both Western Europe and Turkye. That resulted in Eric’s new ensemble with bandmembers Derya Türkan (Tr)on Kemence, Jarrod Cagwin (USA) on percussion, Martin Fondse (NL) on Vibrandoneon, Bram Stadhouders (NL) on guitar & special guest Mete Erker (Tr/NL) on reeds . In November 2013 a small first tour was organized and the first recording was done for which Eric wrote all compositions. Riza Okcu was the man responsible for the name of the band: he suggested to let the European audiences in on the secret life Eric had been living out of the view of Western Europe’s jazz audience since Eric joined Sezen’s band. The core of the band will be part in the project Near East, Up North along with the Asko-Schoenberg Ensemble that will perform a number of concerts in October & November 2015.